How would Treasury's new rule affect 501c4 groups' nonprofit status? 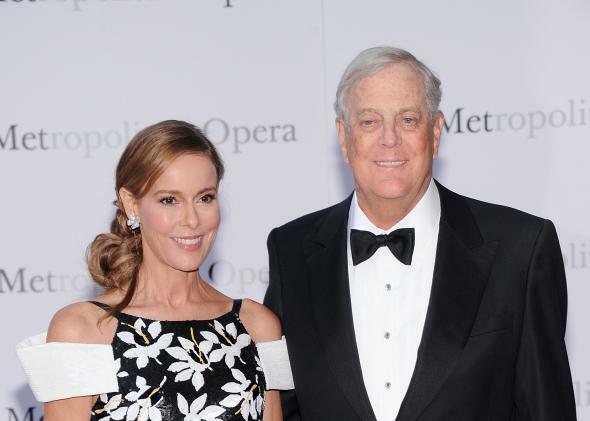 David Koch’s Americans For Prosperity could be affected by the rules change. The Obama administration has proposed new campaign finance rules that, through the Treasury Department and the IRS, would limit the amount of political advocacy “social welfare” nonprofits—otherwise known as 501(c)(4) groups—would be able to undertake and keep their tax-exempt status. Some of these groups have flirted with the line between being a “social welfare” organization and a political campaign nonprofit with unlimited spending capability. For example, candidate-related political activity includes communications within 60 days of a general election clearly identifying a candidate or party. So now’s the time groups like Americans For Prosperity should be sending out apoplectic press releases, right? Nope. They’re either lying low, or they aren’t all that worried about the rule being implemented. Basically, their argument is thus: The fact that the administration has to change the rules to bring these groups into violation proves that they’ve been following the rules all along. The problem is, this is a pretty nebulous way to write a rule. Defining tax-exempt status based on whether a group uses communications with candidates could rope in nonpolitical groups. Interpreted widely, for example, it could threaten the tax-exempt status of any nonprofit group that used a member of Congress in a PSA within 60 days of an election. And even if the rule is passed, the administration would most assuredly still have James Bopp to reckon with.